Is William Shatner’s love/hate relationship with “Star Trek” finally over? No, I knew from the very beginning – or at least when it made me popular – what a profound effect it had, but to bring yourself to understand it again, to have another insight, is helpful about everything, whether it’s the love you have for the people around you or your work or…eating an apple. (Laughs) As long as you live in the moment and appreciate it, that’s really what makes you happy. 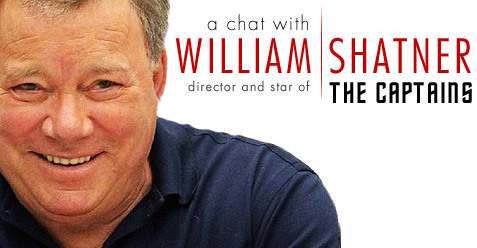 Check out the interview for more about Shatner’s new documentary, “The Captains,” as well as some of his other past and future projects.